Our nation, led by both major political parties, hasn’t heeded that wisdom and is now deeply, deeply in debt, the size of which is almost unimaginable. Not only is that debt in the trillions of dollars, but the interest rises each day. For decades some of our leaders have bemoaned the size of the national debt and warned us about the dangers, but those warnings have had all the impact of the boy who cried wolf. After all, until recently, prosperity has been the rule, not the exception. There isn’t a connection between our everyday lives and this debt, in spite of all the scary rhetoric. Or is there? What gives? The best way to understand how the national debt will ultimately affect all of us is to first narrow the focus and examine the impact of debt on a single family. I’ll call them Family X, and their debt is overwhelming. When paychecks arrive every Friday, that money does not belong to Family X. Instead, most of it goes to pay the mortgage or rent, medical bills, student loans, car loans, credit card debt, and other obligations. The family is in dire need of a new washing machine and dental exams, but those must wait. Dreams of going to college and developing the children’s talents through piano lessons, sports teams, and the like, are left unfulfilled. In fact, you could say their debt has crushed every dream. Mom and Dad no longer make promises to their children they know they can’t keep. Over time, other household appliances break down, and there is no money to fix or replace them. Daughter A needs braces, but those are out of the question. After many months and years, the house begins to look run down, and vehicles are in need of maintenance and repair. If this family owns their home, foreclosure might be just months away, forcing them to move to a less safe neighborhood. Medical and dental issues are ignored, treatments are postponed, and the overall health of the family declines. Unless an employer covers the entire cost of their health insurance premiums, Family X must go without that safety net. When an emergency occurs, the only choice is to pull out a credit card, thus digging the hole of debt a little deeper. Out of necessity, the family purchases the cheapest products, often of poor quality, and it isn’t long until this former middle class family resembles one from the Great Depression. A comfortable retirement is out of the question, and if hopelessness were a disease, each member would be infected. At some point, a tipping point is reached beyond which they will likely never recover. Bankruptcy and a “fresh start”, begin to look more and more appealing, and in fact, inevitable. Debt devastates and enslaves. Can our federal government possibly fare any better? The first obvious parallel between Family X and America is that no matter how much income is collected, it will never be enough. Taxes, no matter how burdensome, will never be enough for debt repayment and the up-keep of our national infrastructure, military, and the multitude of government programs and obligations, much less provide for the ever-increasing, future needs. Plans for new roads, bridges, and improvements to National Parks have already been put on hold. Eventually, the debt load will begin to affect our national security. The wages of military personnel is likely to decline relative to the cost of living, benefits are already being reduced,and when weapons and vehicles break down or malfunction, there won’t be enough money in the budget for repairs or replacements. America’s leadership in military innovation will be in jeopardy. Promises that our government leaders have made to senior citizens, college students, struggling families and others will go unfulfilled. Social Security, Medicaid, and Medicare are anything but secure. Eventually, millions of Americans will be left to struggle with fewer and fewer benefits. Funding for law enforcement and education will necessarily be decreased, and money promised to towns and cities will begin to dry up, affecting us on the local level as well. Initially, those cuts will be in marginal areas, affecting few people, but over time, the cuts will become deeper and more noticeable. When Family X is unable to make their monthly house payment, the day will come when the bank demands the keys to the house. Our country is in debt to other nations, and when those foreign nations decide to hold out their hands for repayment, what will America do? Might our leaders hand over mineral rights or federal lands as payment? Individuals and families must repay their debt at some point, and our nation’s due date is approaching. As individuals, we have no control and little influence on the decisions made in Washington. “New” money is being printed at this very moment, as though it will somehow make the pit of debt less deep . (If only generating money on the family printer were the answer to Family X’s hopeless dilemma!) Our elected leaders are rushing heedlessly down this slope, with no apparent concern or awareness that their decisions may result in tragedy for our nation. We are currently in a small window of time in which we can prepare our families for the day our nation’s debt reaches the tipping point. One important step is reducing your reliance on government support as much as possible. Setting aside a few months worth of food, learning how to produce some of our own food, and seeking out alternative sources of water and energy are all simple ways we can position ourselves and our families to be somewhat buffered as our nation’s economy continues to decline. Paying off our own debt, saving money, investing in hard goods and precious metals, staying up to date with dental and medical issues are other ways we can provide a layer of personal security in the face of an increasingly insecure future. Preparedness has never been a smarter choice than it is now and debt has never been more foolish. It wasn't the most cheerful article I've ever written, but I think that most Americans have no idea how destructive our national debt will be. I think a backup generator sounds nice, but really, they're loud and easy to spot and make you a target faster than something like solar. Check into the Honda Quiet series of generators. They're costly, but they are very quiet and they SIP the gasoline. We've had ours for over 3 years. It's great. You're planning ahead really well, Liz! I always have a variety of smaller gifts that I can pull out whenever I'm caught unprepared for a birthday, but I haven't really thought of also stocking up on larger gifts like Legos. Great idea. I actually think we are in much deeper debt than that too. You take into account the government debt, housing debt, credit cards, and it is much higher than being told. You're right, Raven. I was listening to a podcast last night about Argentina's economic collapses, and the similarities between the government policies that lead to the collapse and what has been happening in our country during the past few years is pretty alarming. You would think it's obvious that just printing money isn't a good idea, but no. I'll never understand why so many of our leaders think they can take a policy that has been a failure every time it's been tried anywhere in the world and think that they have some sort of special insight or magic to make it work. I gathered the same thing about Argentina from Ferfal's book and blog too. It is real scary. Have you seen the timeline that he posted that lead to their collapse? It was a real interesting read. Can you post up the link to that podcast? I am very interested in that. 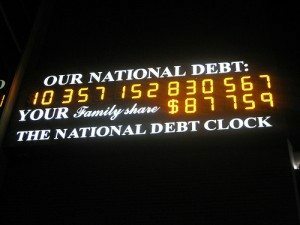 If you go to <a href="http://www.usdebtclock.org,” target=”_blank”>www.usdebtclock.org, you'll see that although the national debt is growing all the time, the total PERSONAL debt is slowly, but surely, shrinking. From what I understand, it's been shrinking since March '09. Whether this is because of people finally waking up to the realities of debt, or simply due to the bad economy, who knows? Unfortunately, higher taxes and inflation are going to take a big bite out of whatever people have been managing to save. Amen to that, which is one of the reasons I'm prepping and paying down debt as fast as I can! I'm about 2 months away from getting my credit card paid off, but sadly, I'm about another year and a half yet from paying off my student loan. God created the Universe in 6 days, I can only imagine what can happen in a year and a half. But, as you said once, you eat an elephant one bite at a time. Amen! Great post. My family and I have been out of debt nearly 5 years now. Consider this: If you were to count $1 Trillion dollars, it would take you OVER 31,000 YEARS to count it, even if you counted $1 per second! Now consider, our government is multiple $trillion in debt. Whew! It will never get paid off. Also, in my opinion, it's irreversible. Our politicians in the U.S. don't have the stomach to stop and cut the spending. It's too bad. All one can now do is run your personal finances by being debt free. IMHO, this is the very first step everyone should take to start preparing for the future. Do this before anything else. Science gifts are good, too, for the kids. They can do an activity with them, but when they're done, you have pipettes, test tubes, small scales, and whatnot that could come in useful. And, if schools out forever, then you can still teach them science. Oriental Trading Company (a US company) has a lot of good science things, cheap. I've read this several times, it helped me understand how the debt affects every day people like myself. I'm building a buffer as suggested. LizLong- your tips on gifts that will be useful (Lego's, science kits), are great! Since it's getting near the holidays. I'm canning apple butter today to put with other jams and jellies I've canned, will be giving those as gifts this year. Hamburger is getting more expensive, and after reading "The Famine Menu" on the site I'm canning ground hamburger later in the week, as well. You just have to get debt-free. Unfortunately, some people are grasshoppers and others are ants. The grasshoppers talk a great game but really do nothing to prepare for their future — but, have all the toys. Then, they expect the ants to take care of them or accuse them of being heartless. Our government spends the way it does because the leaders were raised with the buy now-pay later credit card mentality and that's all they know. Three friends have homes that are already valued below their mortgages. They just didn't believe prices would drop so far. They keep waiting for the turnaround — but, now, without jobs, are still trying to live at that level. I don't know the answer, except, it's going to have to come from the individuals not the government. I completely agree 100%. I can not consider that he would even go together with that. Folks lately are just unbelievable, by no means ceases to amaze me what people do and say anymore. Great blog. I'm rather new to your site. This post here is exactly how my gut feelings are the days. 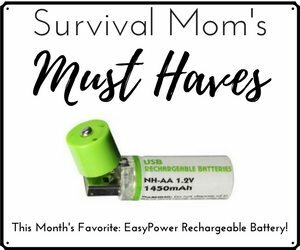 I am a month or so in to start of my food storage, and i just want to say thanks to you for having such a site to help us folks out that are fairly new and want to be prepared. I have been gathering MRE, i spent 6 years with the US Army, Cav, and have learn basic skills of survival of combat. That helps me some with the mental part, but there is always that part that says, what am i forgetting. So thank you so much for your website that is really giving me input on what next. Very good and timely reminder! We keep propping up our economy and kicking this can down the road. 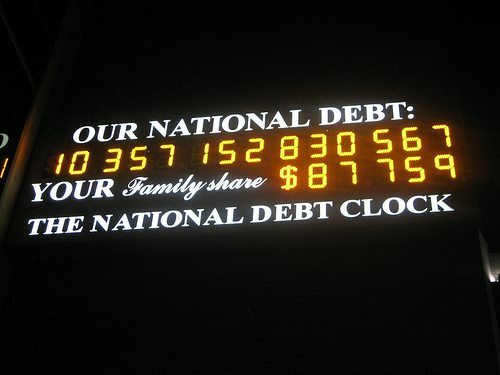 Our nation is now sitting on over $14.7 TRILLION in debt…that blows my mind away. When this bubble bursts it's going to be ugly. Reposting this article just proves that you tried to warn people. Keep up the good work Lisa! I enjoy your articles and while I can't exactly use the word "enjoy" for this one, it's absolutely correct and necessary. 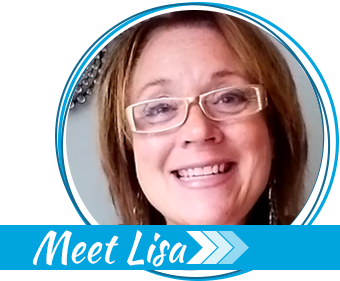 Lisa, your website is a goldmine of information and encouragement. God Bless you, your family and your work! You said it Lisa, also, sounds like we would have been great friends throughout our lives. I believe in being debt free and prepared now, but high school/college days (waaay back) I wanted to be the best dressed girl. I would walk the mall for hours admiring and coveting the clothes. Haha, glad I'm past that now! Lisa, your last paragraph summed it up completely. I am not trying to change anyones mind with this post, and I think your article hits the right tone, but again I will speak up to say I have to disagree a little bit with your absolutist view of all debt. I never racked up credit card debt. I always tended to save more than I spent. But a year ago I looked around at the world, my family, and my bank accounts, and decided to get into some serious debt. I had saved up quite a pile for us – we could have paid about two years of all our expenses rent, food, power, etc. with our emergency fund. But, it wasn't earning any real interest from the bank, and prices seemed to be really going up. I was watching my hard earned dollars shrink and disappear. And the news from the Fed and the Government was that they were probably moving towards the shrinking dollar even more in the next years. Meanwhile we were going to have a second little one on the way, and though we could all make do in our rented two bedroom townhouse, I decided to buy a duplex. We fixed the whole thing up, we moved into the top floor and rented out the bottom. So now someone else is paying most of our mortgage and we just add $300 to that to cover the mortgage, taxes, insurance – the whole bill (Instead of paying $800 a month for something I don't even own). Now when I read about those dollars shrinking, its not my big pile I've saved that is disappearing – its the big pile that I owe the bank. I think taking on debt was a little risky, but with the government facing their (really our) huge debt. And knowing that they could just pressure Ben B. to monetize their way out of this by weakening the dollar and paying with inflated dollars. I thought to myself: what is more likely? a.) that the government and people of the US will be selfless and protect the savers in this country and take the bullet by allowing the dollar to remain strong, or b) that the government will take the easy way out by inflating the dollar helping debtors and hurting savers. I thought the government would choose option b) so I acted on it. So now I too am a net debtor. I am very confident that I can pay my debt, and it is for one of the basics of survival (shelter and a source of income). Most people in their 40s have a mortgage on something that maybe they can't afford, that doesn't provide income. I felt I could handle this duplex. And it just always seemed weird stoking up supplies in a house and garage that I didn't own. It felt more stable moving into our house even if the bank does own it for now. So what do you guys think, am I fooling myself? Should I have continued renting and put our emergency fund into metals or something else? or kept the cash in the bank? My wife, our two little boys, and me love our home. So far no regrets. I think what she's talking about is unnecessary, credit card-type debt, for "keeping up with the joneses". I personally don't see anything wrong with going into debt for something that will provide income, as long you fully understand the risks, and still try to pay it down as quickly as possible. Additionally, if you lose your "day job", maybe your renter will keep his job. Then you will likely make your house payments, which would have not been the case had you been renting. The fact is that no one knows how this is going to go down, so conservative, calculated risks as certainly prudent. For all the home schoolers reading. 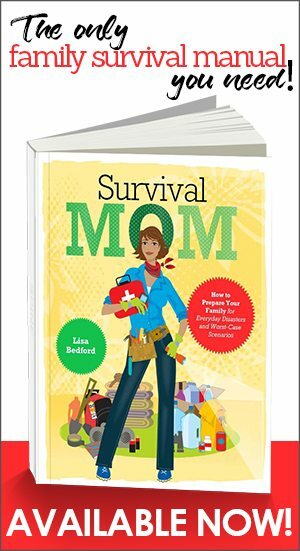 Hi Survival Mom, my wife & I really like your blog. 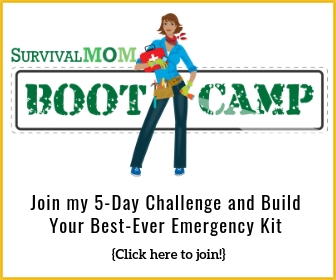 We've been told by Sharp entertainment that we will be on an episode of Doomsday Preppers. They are sending a camera crew to our home in mid October. Should be interesting. Congratulations. I am sure Lisa will confirm this, but be careful what you say. They might try to twist or omit some of what you say to suit their purposes. In fact, bring this up as one of the first things you discuss. They may do something disingenuous anyway. But at least they will be aware that you aren't naive. Even at the current level of national debt just stop and think of the amount of economic growth that would need to happen and then the level of taxation on that growth (which would smother it) just to pay half off (back to the level it was just 3 years ago). Words like “absurd” and “ridiculous” can’t describe it. Most likely we are already well past the point-of-no-return. A riddle: You are a race car driver and you are qualifying and need to average 120 mph for two laps on a 2 mile oval. In your first lap your car has trouble and it takes you 2 minutes to drive your first lap. So how fast do you need to go to qualify? The answer is it can't be done. New riddle: You owe $15 Trillion dollars. Interest rates are so low you only need to pay $600 billion a year in interest. But when the economy collapses because you are printing the money you can't borrow, interest rates will go through the roof; 12%, 18%, 24%… So in a collpased economy with the new yearly payment on the debt now at $3.6 trillion how long will it take to pay off the debt and recover the economy??? The answer is it can't be done. We have already screwed the pooch. Now we are just waiting for the total collapse. Now just hold on a minute. If the family could “print money on their home printer” AND THAT MONEY WAS ACCEPTED AS “GOOD COIN” it WOULD solve “all their problems. The government CAN print all the money it wants but when the printing presses are cranked up will all that paper be accepted as “good coin”? Our hypothetical family would have quite a bit of problems passing their own homemade paper. Uncle Sam would fare no better.